Syrupwaffle bakery Markus welcomes you to the delicious world of the typical Dutch cookie: the syrupwaffle! The real Gouda syrupwaffle might be the most famous cookie of Holland. It is the treat that comes with every cup of coffee and it is the present that always puts a smile on everyone’s face. That makes us proud. Every day we bake more than 60.000 syrupwaffles and transport them throughout Europe. 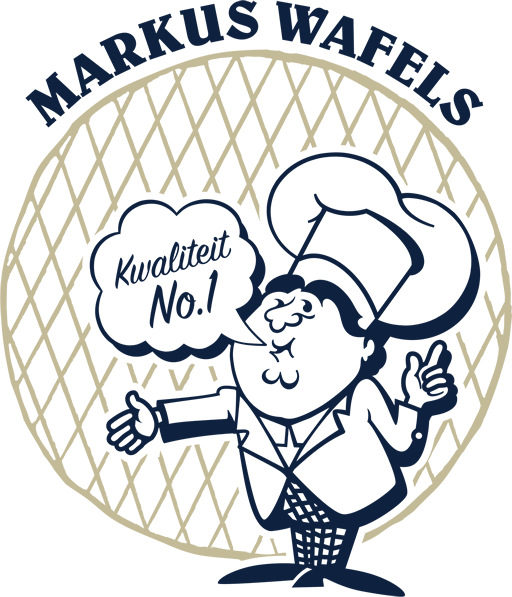 Our main focus is supplying marketmen in Holland so they can present fresh syrupwaffles to their customers. We make an effort every day to bake this special cookie. For the love of the product we do not use colour or flavour enhancers, or other conservation additives. Because of this you taste the real Dutch syrupwaffle as it is known. We bake our syurpwaffles with care and make sure they are always fresh. This makes the real Markus syrupwaffle well-known in Gouda and its surroundings.